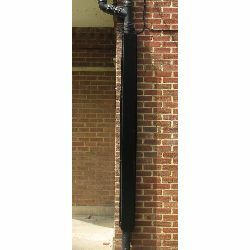 Stop thieves or kids climbing up your down-pipes or drainpipes and protect your pipework from damage with these attractive Painted Anti-Climb Downpipe Covers. 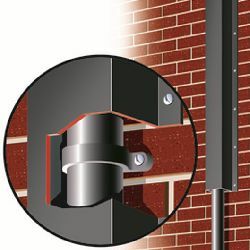 The Insight Security range of Anti-Climb Downpipe Covers offer protection for vulnerable pipework against climbers, vandals and accidental damage. 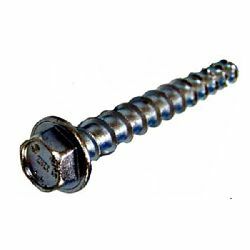 Our pipe protectors are designed to fit snugly over your pipes and bolt flush to the wall, so that when fitted, there is no way anyone can use your pipework as a climbing aid. 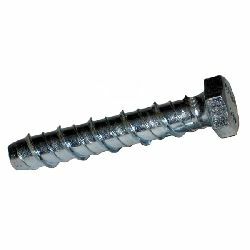 To gain access, for example, to a flat roof, upper windows or climb over a barrier wall or fence. 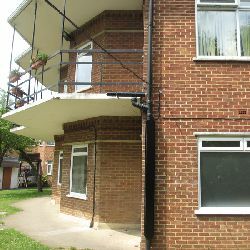 Stopping kids from clambering onto your flat roof to recover a ball, preventing burglars from reaching an easy entry upper storey window, stopping accidental damage to your pipes (or intentional damage inflicted by vandals) are all benefits provided by fitting protective covers to your down-pipes and drainpipes. Another benefit of these painted pipe covers is that they look great. 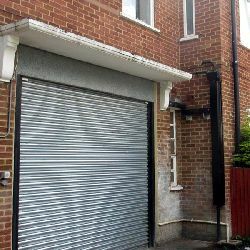 Installing these covers can significantly enhance the external appearance of your property while at the same time, enhancing your property security, which is great for your insurance! The design of the Anti-Climb Downpipe Covers, makes them ideal for use in high security locations such as prisons, police stations, secure medical facilities and other places where vandalism and wanton damage might occur. These pipe covers are also widely used in locations where pipes could be climbed to gain unauthorised access, such as at schools, hospitals, shops, banks and offices. 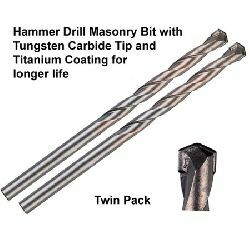 And of course they are extensively used in domestic environments where homeowners don`t want to make it easy for burglars to break in. Precision engineered from weather resistant galvanised steel sheet, this over-painted version of the cover features a durable, easy clean, baked on powder coat paint finish, which not only enhances the look of the cover but also adds an extra weather protection barrier. Stronger than aluminium or plastic covers, these robust, low cost units are designed to offer years of maintenance free service and represent a great investment. Fitting your pipe covers really could not be easier. 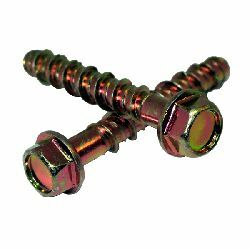 The fixing flange to either side of the cover is pre-drilled with fixing holes, which allow the covers to be screwed or bolted directly and flush to your wall on either side of your pipe. 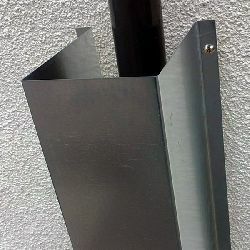 Our stock range of pipe covers are designed to fit neatly over most modern downpipes. 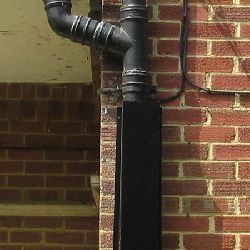 However it is worth noting that the stock size may not be suitable for use with oversize downpipes such as older cast iron types with their bulky fixing brackets. There have been many different types and size of pipework produced over the last century so a bulky one-size-fits-all approach is not a desirable option.